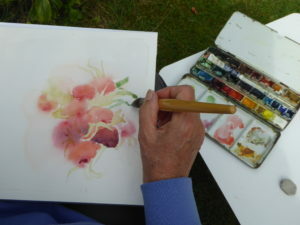 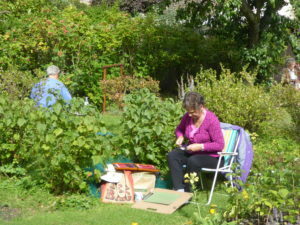 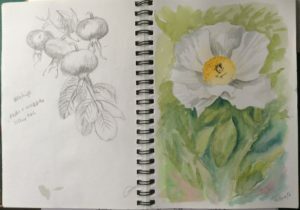 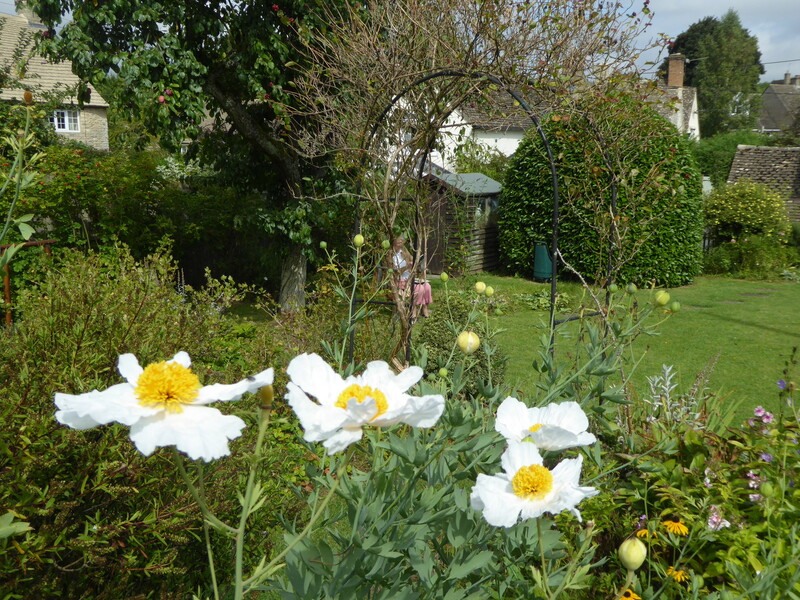 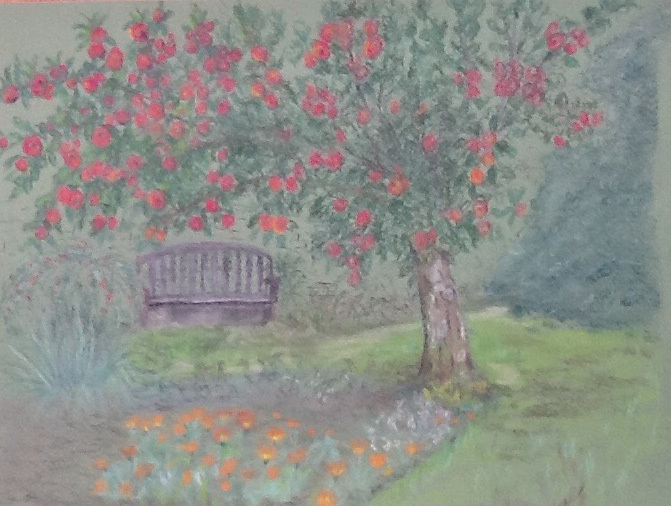 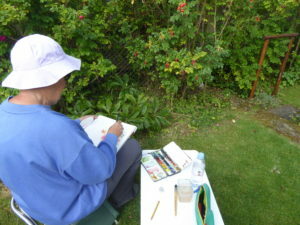 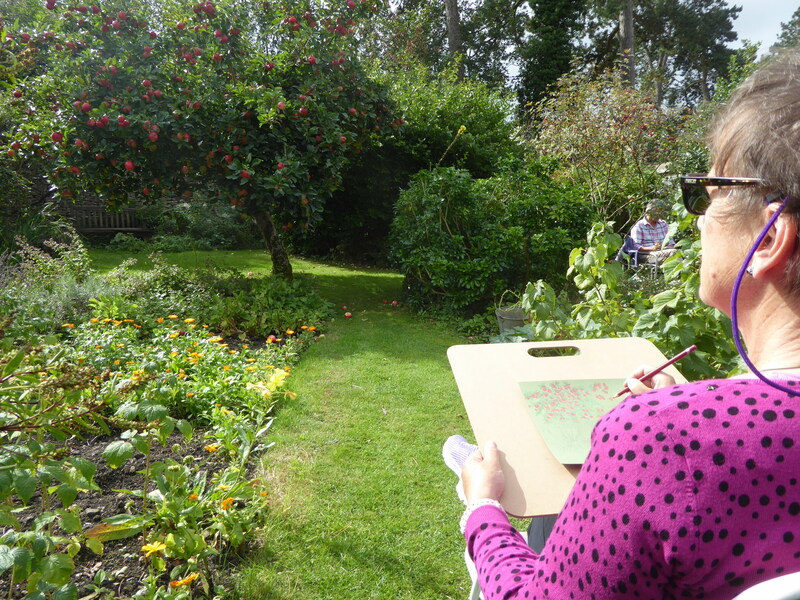 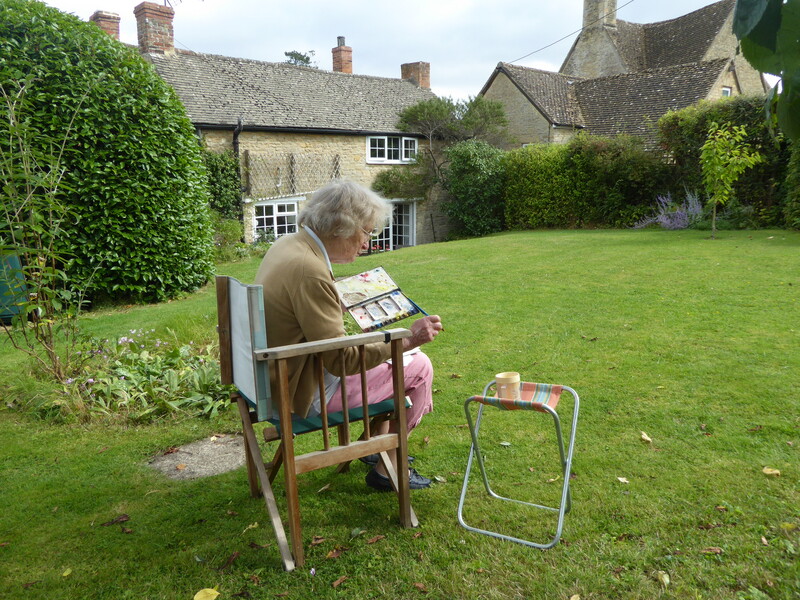 Five artists including Mary enjoyed painting in her cottage garden in Ramsden on Wednesday 31 August. 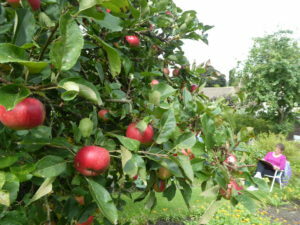 There were various late summer flowers and fruits, including some huge rose hips and an apple tree laden with lovely red eaters to inspire us! 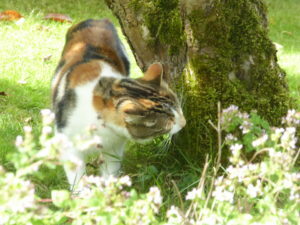 An inquisitive cat, apparently from next door, wanted to know what we were up to. Thank you Mary for having us and for providing refreshments.